Despite a childhood spent flicking back and forth between pages in Steve Jackson and Ian Livingstone’s Fighting Fantasy books, Joe Dever was a name that I hadn’t come across until now. The fantasy author was similarly renowned for his role-playing gamebooks, and, while he sadly passed away in 2016, his legend lives on as Joe Dever’s Lone Wolf comes to Nintendo Switch. In this digitised Choose Your Own Adventure game, you are the hero. You are the last remaining Kai Lord of Sommerlund, who, after the Darklords of Helgedad slaughtered your kinsman, retrieved the Sommerswerd and used the magical golden broadsword to defeat the Darklord leader, Zagarna. Now, the lesser Darklords want to exact their revenge, and it falls to you to stop them. Your life is not an ordinary one, and, before you are thrust into experiencing the game’s four-act story, you must first choose what hero you want to be. Do you counter all challenges with a decisive but reckless approach or carefully assess each situation before you attempt to overcome it? Do you wield a sword, axe or heavy, crushing mace? And, have the special Kai Disciplines that you possess given you mastery of healing or survival skills as a master tracker, hunter and explorer? These early choices will shape the hero that you have become, but it is only by setting out on your adventure that you will start to recognise the impact of your decisions. You start at the tragedy-stricken frontier village of Rockstarn, before moving on to explore the Sunken Forest, discover the secrets that the Shianti Temple hides, and then to storm the fortress of V’taag. Writing your destiny requires more reading than most will probably expect, but it won’t come as a particular surprise when you consider the game’s origins as a role-playing gamebook. As you turn pages in an ornate medieval tome that’s filled with as many hand-drawn illustrations as much as it is with text, you will be regularly faced with a decision based on multiple choices to make. This will lead you to new locations on the world map, with the chance to meditate cropping up every now and then to let you recover your Vitality Points, Endurance and Kai Power. These are important, as, whether it randomly happens as you move between locations or as the story continues to unfold, you will often find yourself in combat. These are surprisingly engaging battle encounters, where, when it is your turn to strike, you will have the chance to use melee techniques, your ranged weapon, Kai powers, or the Sommerswerd. With the tactical time bar ticking down to pressure you into making your choice, you won’t be able to perform another attack until it refills. That means that the battles in Joe Dever’s Lone Wolf require quick thinking, as you look to defeat your enemies before they can deal much damage to you. There’s depth to your actions too, with melee techniques breaking down into a quick strike, heavy attack or the best of both in a combined attack, your ranged weapons seeing you fling throwing knives or unleashing crossbow bolts at your enemies, and the Kai disciplines that you chose lending you powers that are dependent on what you chose when you started the game. And then there’s the Sommerswerd, a holy weapon with magical origins that can be used to unleash a devastating attack that’s perfect for helping to bring tougher foes to their knees. It is quick time events that can determine the potency that all of your attacks will have, and, after every enemy is vanquished, you can collect your spoils. Throwing knives, materials, and leather pouches, you can also retrieve picklocks to unlock any treasure chests that you find on your adventure – a process that will familiar to those that have played The Elder Scrolls series. Your adventure still has its fumbles, as combat encounters can descend into repetition and could do with more clarity on the turn cycle between your hero and the enemies that you face. As another mobile port, introducing button input isn’t as smooth a transition as you would have hoped and, while not ever visually unappealing, there is clearly more room in what has been achieved with the 3D-orientated battle encounters. 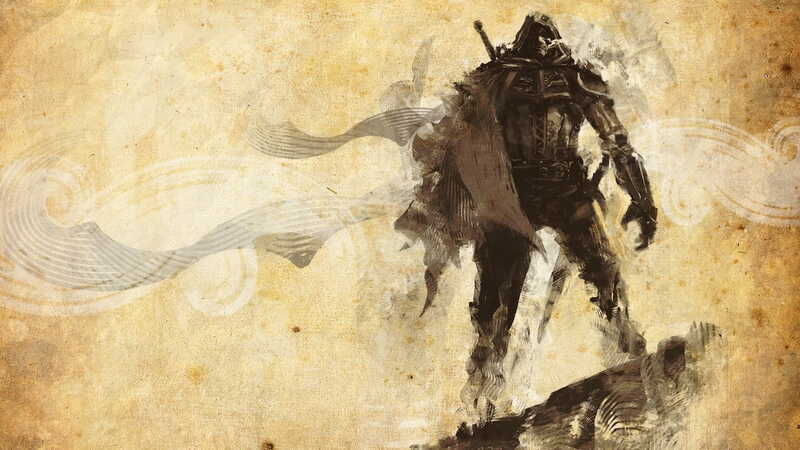 It is the fantasy world that you tread in Joe Dever’s Lone Wolf that makes it such a thrill to exist in. Steeped in lore and with the chance to determine your own destiny, the game soon proves to be a compelling and engaging experience that stands proudly apart from anything else on the Nintendo eShop.